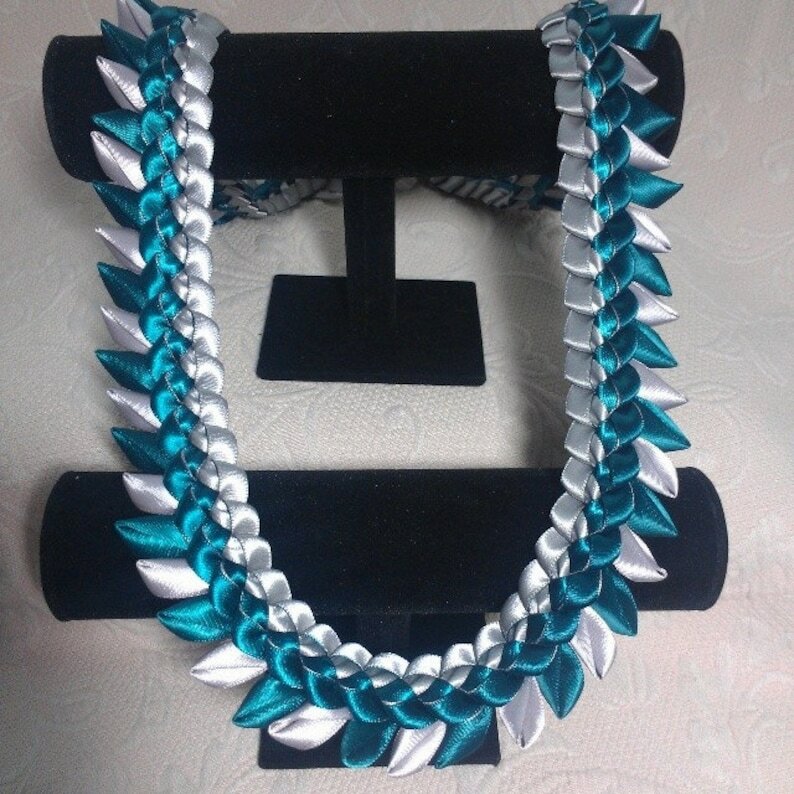 Our single braid lei with the addition of "petals" to create this beautiful lei perfect for both genders. 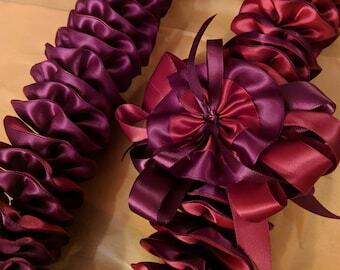 We use over 20 yards of 3/8" satin ribbon to create this unique lei perfect for any occassion. This can be created in your choice of colors. Approximate length is 38 - 40" Send me an inquiry to see if your color is available or if you need a longer or shorter length. We sew each petal on one by one and can consist of alternating colors or can be a single color. Each lei is handcrafted with aloha and ship to you as soon as it is completed. Together we can create your one of a kind lei. A third color choice is also available, please write in comments your third color choice when purchasing. Please ask if you have any further questions, we are happy to assist you! Beautiful unique ribbon Lei! Received in colors combination requested in a timely manner. Would purchase from again.